Those entering a legally recognized lifetime union, otherwise known as marriage, are bound to be swayed by the rose-colored glasses they cheerfully put on before uttering “I do”. A prenuptial agreement is the last thing a couple wants to distort their view of a happy marriage. When entering a partnership, doting fiancés never look highly on possibly planning their divorce. You might be surprised at the benefits a prenup has to offer, even for happily married couples. A prenuptial agreement, however, offers the wife and husband legal protection of current and future assets in the event the union dissolves. More couples today are invested in creating prenups than partners ten years ago. In fact, 63 percent of divorce attorneys claim to see a spike in prenups in the last three years. Plus, more women than men in recent times are initiating prenuptial agreements. While those seeking a legal partnership may flinch at the implied distrust a prenup involves, signing a prenup involves a wealth of mutual trust. An individual who fails to disclose all of his or her true financial assets could jeopardize the enforceability of the prenup. Developing a prenup requires explicit trust and openness about one’s financial assets. 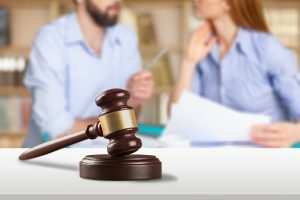 In Illinois, prenuptial agreements may be drawn up to include several factors related to the dissolution of a marriage. 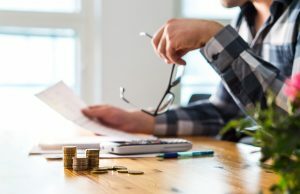 Issues surrounding alimony, such as whether or not a spouse will pay alimony and how much, are outlined in a prenup and are recognized by the courts. In a prenup, each spouse also has certain rights regarding the sale, management or disposal of property. The right to life insurance death benefits are stipulated in prenups. Also, in a prenup, each spouse has the obligation to write a will to execute the agreement. Among the financial assets that prenuptial agreements protect are family inheritances, vast net worth, business endeavors and individually owned property, like vacation or private homes. Retirement accounts also receive ample protection when a prenup is in place. Prenups start to look attractive when engaged couples consider that these legal documents actually increase the happiness of married people. Doubt in a marriage is a chronic nuisance, especially when couples own significant property. Having a prenuptial agreement in place eliminates the uncertainties surrounding the handling of their property in the unforeseen event of divorce. Debt liability is greatly limited when a prenup is in place. Prenups protect each spouse from incurred financial hardship from unanticipated events, like gambling debt, amassed credit card debt and personal or business loan debt. Creditors can pursue marital property when the other spouse is in debt. A formal prenuptial agreement protects the spouse when the other spouse is negligent in debt repayment. The interests of children from a prior marriage are shielded when a prenup is instated. Children and their assets deserve to be protected, and a prenup is the most accessible document to legally do so. A premarital agreement safeguards the children’s future inheritance. While the best interests of the children are outlined, prenuptial agreements have no say in public policy matters, like child maintenance or visitation. A prenup cannot state in advance how much support a child will receive if a divorce ensues. Family property and heirlooms that those considering marriage want to keep in their birth family should resort to a prenup. Future inheritance and family businesses are also protected by prenups. Any errors in handling an inheritance, for example, may be corrected if a prenup is in place. Without a prenup, a $75,000 inheritance that a wife deposits in her joint bank account is deemed marital property. Establishing in a prenup that separate property stays separate keeps the inheritance from being apportioned to the spouse. Many married couples acquire property during the course of their marriage. Signing a prenup dictates how any future property will be divided in the event of divorce. Without a prenuptial agreement, a divorce will end up in court and the judge will divvy up the property. Having a prenup in place gives both the divorcing spouses—rather than the judge—the opportunity to establish what party will receive what property. While a prenuptial agreement is a powerful legal document, prenups may be amended in writing at any time after marriage. Both spouses must sign the updated prenup in order for the changes to go into effect. A prenup also may be canceled subsequent to marriage. Both husband and wife may, in writing, revoke the agreement after marriage with their written signatures. Upon the creation of the prenup, Illinois law does not require witnesses for it to be recorded by a city clerk. Financial assets receive the utmost protection from the courts during divorce proceedings. Judges grow uncomfortable when they see non-financial matters in a prenup. An outline of who is responsible for certain chores, which relatives should receive attention and how to rear a child are all examples of personal preferences that a prenup has no room to include. Domestic issues that find their way into a prenup are struck down in court. When you’ve set aside the rose-colored glasses and discussed the benefits of a prenup, turn to Oak Lawn’s most trusted law firm, Berry K. Tucker & Associates, Ltd. Our family lawyers stay current on the changing laws in Illinois and are skilled in drafting prenups. Already married? A post-nuptial agreement can be created with the help of our family lawyers at Berry K. Tucker & Associates, Ltd. Post-nuptials can be developed after a legal union is complete and they have the same efficacy as a prenuptial agreement. Contact our attorneys to create your pre- or post-nuptial agreement. Eliminate the financial stress either before or after marriage by drawing up a prenuptial or post-nuptial agreement. The dedicated team of experienced family attorneys at Berry K. Tucker & Associates, Ltd. helps couples traverse the complexities of prenuptial and post-nuptial agreements. You can receive a consultation from the law experts at Berry K. Tucker & Associates, Ltd. Our firm meets the family law needs of residents in Oak Lawn, Illinois, and its surrounding communities. To schedule your initial consultation with a family attorney, contact Berry K. Tucker & Associates, Ltd. at (708) 425-9530.